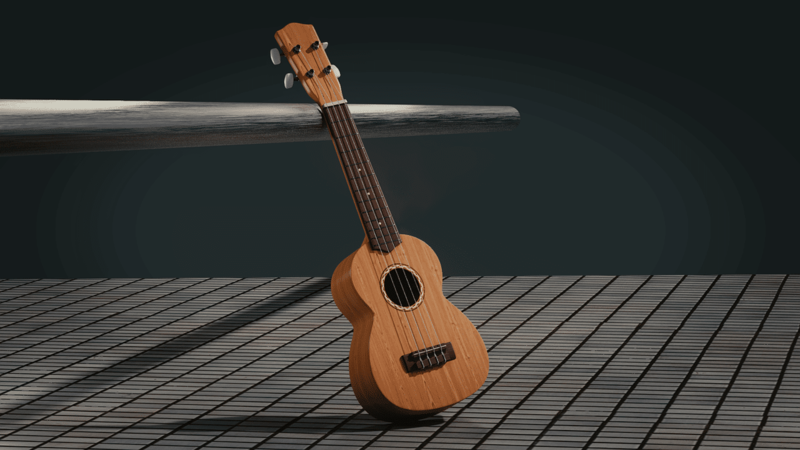 In our last article, I have written for how to tune a ukulele. 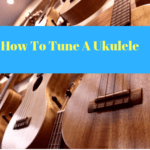 Today, I will show you how to tune a ukulele with a tuner. I think it will be exciting too. If you are new to the instrument, then it is essential that you learn to tune in the string. First, you should know about the string names, okay? Yeah, fine. Let’s start, from the string closest to you this G C E and then the furthest from you A. Then it’ll show you on a dial, right? If you’re close, we want this one to be GE. Yeah, I’ll try to show you guys. Okay, I’ll try to show you this one here we go. If we have G better, that’s what we want. We want it in the middle and green. Alright, now you can see when I pluck the string it recognizes what string it isn’t trying to you to tune it to the middle where it’s green. So if it’s to the left of G then it’s flat, and that means you need to make it tighter, and if it’s to the right of G. That assumes it’s sharp, and you want to make it looser. So how do you figure out what’s tighter loose, all right? So you can plug your string. Some people literally like this you don’t need to that. You need to connect once let it register yeah. See where it’s. So that means I have to tighter which means I turn my peg follow the string to the peg turn my peg away from me. Turn it little more. You do like a quarter turn half turn just depending on how far you are. Right now I’m just like a few ticks from the middle. So I’m going to little bit yeah, away from me. So if you’re looking at the page from above, it’s counterclockwise .all right okay. Let’s look at the next string. Remember what should be, “See with cheese” So in the C. Now lets the C too tight. It says C Sharp. A lot of beginning student might not know that if there’s a little pound sign next to your latter. It’s not the same as the last right. C sharp is a different key then C. So if there’s little pound sign there that means you’re too high to the string is too tight. That’s why you need to loosen it. As I’m at C sharp I have loosened it. That means I turn the peg towards me clockwise. I am in the yellow range which is better than the red one. Now I am almost in the green there now I’m in the green. So it’s just getting used to turning pegs and that learning how much you need to convert them. So those are the top two strings G and C. They work the same way regarding turning the pegs away from you to tightening and towards you to loosen. Now, the bottom strings now with E. So let’s loosen that one. So right now I’m at D sharp which is bellow E . I am going to follow that string right. If you’re watching follow string all the way to your peg, it’s our furthest away from you. And so the bottom string work differently. I mean really if you look at them from the side they work the same. You turn it tighter to get it closer to the E. So you’re turning it towards, and so the more you practice turning it and understanding which way is uncomfortable and which way is loose the more comfortable. It will be to tune. Now I’m back to E string. Let’s do the A string. So let’s be too tight with the string. So I’m going to turn it towards me. It says Astring sharp right now sharp is tight. So we are going to loosen on this bottom, bottom two strings. We are going to turn the peg away too. So I highly recommended getting an electronic tuner a reason is that it works by vibration. So you can use like, free tuners that are online or on your phone app. But then that requires that you’re a quiet room. So with the vibration tuner you clip it on and reading the vibration starlight from your oak, and it can ignore the rest of the sounds in the room. Remember that you should tune your oak before every time you practice. And the strings especially if you have a nuke they need to stretch into place. Once they good spread and find their tuning, then you should hold it’s your tune from practice to practice. But in the beginning, you might need to tune it several times even you know while you’re practicing. So be ready for that. Well, tune your Oak and happy practicing.